Dr. Michael R. Fitzgerald is Professor of Political Science specializing in American government, public policy and public administration. Before joining the Tennessee faculty in 1978, Mike served for three years as an Assistant Professor of Political Science at the University of Missouri. He received his Master's and Ph.D. degrees in Political Science at the University of Oklahoma. A native of Kalamazoo, Michigan, Mike received his BA degree from the Honors College of Western Michigan University in 1969 and subsequently served for two years in the U.S. Army--completing one tour of duty as a Non-commissioned Officer with the 25th Infantry Division in Vietnam. Mike is an active scholar who has published several books and research monographs, numerous research articles and book chapters, and given more than forty conference papers. Among this body of work are studies devoted to Tennessee politics and government, as well as federal agencies such as the TVA, EPA, the Department of Interior, and the Department of Energy. Mike did policy research, training, and consulting as a Senior Fellow at the Energy, Environment, and Resources Center of the University of Tennessee from 1986 to 1995. In 1992, he was a Visiting Senior Fellow in the Center for Resource & Environmental Policy of the Institute for Public Policy Studies at Vanderbilt University. Between 1984 and 2004, Mike served as a consultant and adjunct faculty member at the U.S. Office of Personnel Management's Executive and Management programs in the United States and Europe. He continues to consult and teach for the University of Tennessee's Institute for Public Service in their programs for executive and management development in state and local government. Professor Fitzgerald teaches graduate and undergraduate classes in American politics, public administration and policy, the mass media, and political philosophy. In recognition of his classroom performance, contributions to student life, and meritorious university service, Mike has been twice designated as Outstanding Faculty by Mortar Board and three times as Distinguished Professor by Pi Sigma Alpha. 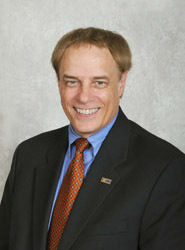 The Political Science Graduate Student Association recognized him as Professor of the Year in 2006. He has also received the L. R. Hessler Award for Excellence in Teaching and University Service, the Chancellor's Citation for Extraordinary Service to the University, and the Chancellor's Award for Excellence in Teaching. In 2001 the Intrerfraternity Council at UT recognized Mike as the Outstanding Faculty Member of the Year. In 2003, Mike received his second UT National Alumni Association's Outstanding Teacher Award. For his outstanding commitment to public service and teaching, the UT Institute of Public Service in 2004 presented Mike with its inaugural Faculty Excellence Award.